The NSW Government is committed to growing a vibrant, safe and diverse New South Wales night-time economy, enhancing Sydney’s standing as a global city and making NSW a safe and great place to live, work and visit. Our State has a vibrant calendar of night-time events from theatrical performances, workshops and seminars, to live music, food and wine events, exhibitions and other cultural and cinematic experiences to name just a few. To support artists, musicians, businesses and their local communities, we are inviting you to leverage the NSW Government communication channels including the sydney.com and visitnsw.com websites to participate in developing a night-time economy directory to increase community awareness of night-time related events and activities. The night-time economy involves social, cultural and business activities that take place from 6pm to 6am and is a key driver of growth, and a significant contributor to the economy more broadly. To list your event, simply register with Destination NSW's free online membership program Get Connected, powered by the ATDW, Australia’s National Tourism Database. Once submitted, your event will be identified and tagged as a night-time event in the editorial quality assurance process, and will be published within 48 hours on sydney.com or visitnsw.com. 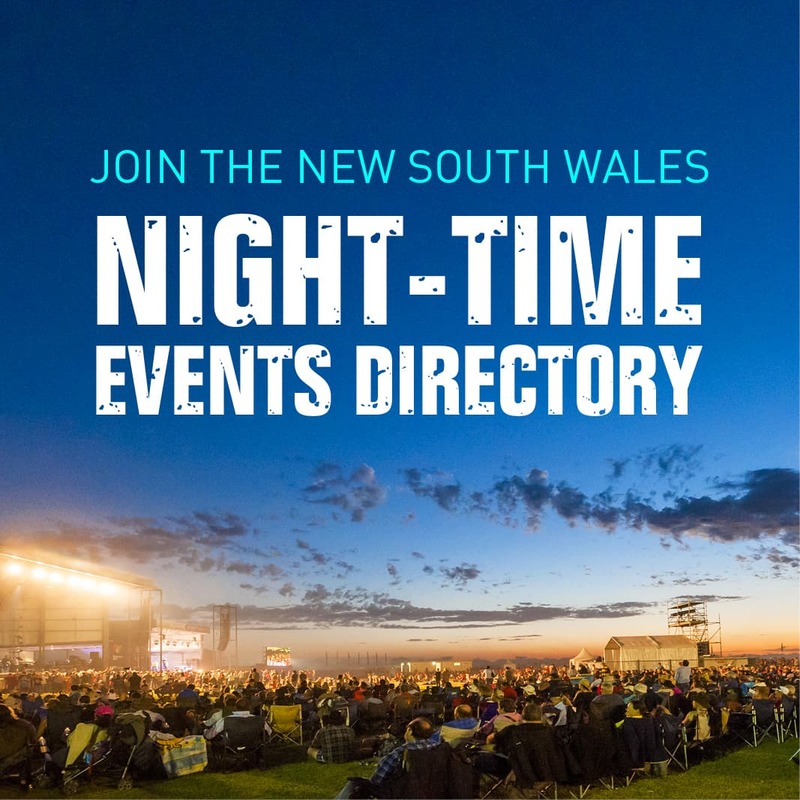 Your event will also be featured on the dedicated night-time event landing pages for regional NSW and Greater Sydney. Visit https://www.sydney.com/things-to-do/night-time-events and https://www.visitnsw.com/things-to-do/night-time-events. For assistance please contact the Get Connected helpline on 1300 655 077 or email getconnected@dnsw.com.au.